"When you come to our office, we are sincerely interested in your overall wellbeing. Our team focuses not only on the way you look, but your overall health and wellness. We strive to make you look better, be healthier and feel better about yourself" Dr. Samuel Shatkin Jr.
We are a team of health professionals, in the field of Plastic Surgery and advanced Skin Care, devoted to rejuvenating and enhancing your natural beauty using state-of-the-art procedures that will result in beautiful, natural results that make you look better and feel more confident about your appearance! We strive to provide the highest standard of excellence in cosmetic enhancement services that our patients deserve. We provide comprehensive treatment planning and follow strict standards that ensure your treatments and surgery will provide the results you desire. Because our goal is to provide optimal services, we believe that requires excellence from both education and experience. We keep current on the latest techniques and accreditations so we can provide our patients with customized results. We address the patients in an holistic approach, checking your total health before performing any procedures. Thorough health history, general emotional and physical wellness parameters and healing abilities are considered in all our patients prior to treatments. We have a fully accredited surgery center offering the utmost safety in sterilization and infection control. To protect our patients and ourselves, we strictly maintain sterilization and safety standards to ensure you are protected at all times. As your plastic surgery and advanced skin care professionals, we want you to be confident knowing that we are a team of highly trained and skilled clinicians. Board Certification, licensure, and proper accreditations for all our workers is a requirement for all our staff. To give you the best possible service and results, we are committed to continual education and learning. 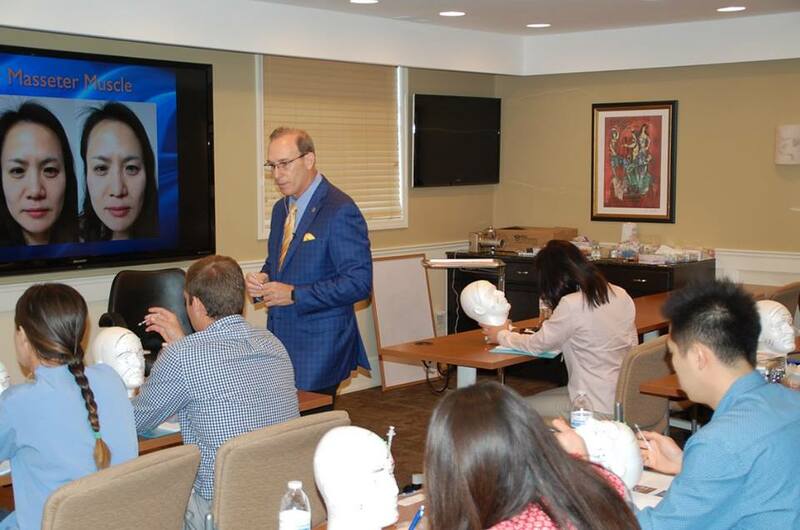 We attend plastic surgery lectures, meetings, and plastic surgery and skin care conventions to stay informed of new techniques, the latest products, and the newest equipment that a modern plastic surgery and advanced skin care practice can utilize to provide state-of-the-art cosmetic enhancement procedures. Also, being members of various professional plastic surgery associations helps us to stay abreast of the changes and recommendations for our profession. Dr. Shatkin and his staff educate other health professionals through seminars as well as community education on Plastic Surgery, nutrition, health, wellness and skin care. We build a foundation of trust with our patients, treating all with respect, dignity and concern for their best interests and results. We strive to make our patients comfortable before, during and after their treatments, and we appreciate some of the decisions to seek out plastic surgery services can be a life changing and emotionally positive experience. Our entire team is dedicated to providing you with excellent, personalized care and service to make your consultation and skin care or surgery as comfortable and pleasant as possible. 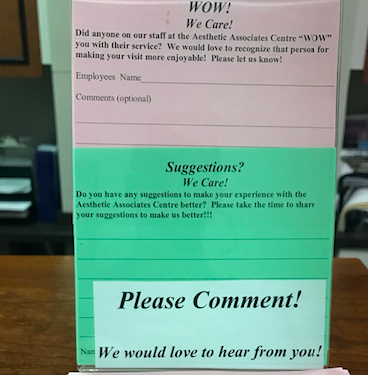 Thank you for allowing the Aesthetic Associates Centre for Plastic Surgery and Advanced Skin Care to meet your needs.